Empower your restaurant business with restaurant POS software and increase the sale. POS refers to the Point of Sale. It’s a secure web system based on the advancement of technology. It’s one software which focuses on making money in the most organized way. It’s suitable for restaurant, clubs, bars, quick service restaurant, delivery, and other services. Its user-friendly interface and reliability make it stand out in restaurant operations. Whether it’s a small restaurant or holds a chain of business POS will simplify the complete restaurant operations. It’s easy to use, an advanced solution for the restaurant business and food service industry. All the registers and the account files have been replaced by POS software. The emergence of technology keeps bringing new tools and technologies and provide restaurants with immense growth and support. 2018 has made serving delicious delicacy easy by focusing on bringing the positive change in the industry. Currently, it’s one of the most booming industry. A lot of new establishments are joining the industry and getting popular in no time. People are concentrating on smaller chains and generating great revenues. According to The Association’s 2019 “What’s Hot,” customers are emerging into social dining trends. Current trends are influencing all the spirits around the world and inspiring people with zero-waste cooking. The focus of the industry is now on vegetable-forward cuisine, globally inspired breakfast dishes and in the food which not only fulfills nourishment needs but also helps in sustaining the planet. The industry is exploring new food sources and ingredients that can create new cuisine opportunities and help people to provide with more experiential dining occasion. Eco-friendly sourcing of the food is the new trend of 2019. The generation is more concerned about global warming. They significantly, require fewer resources to produce more food, hence, its taking place with the changing time. In the past, a few years people have become more conscious of food waste and started chasing. 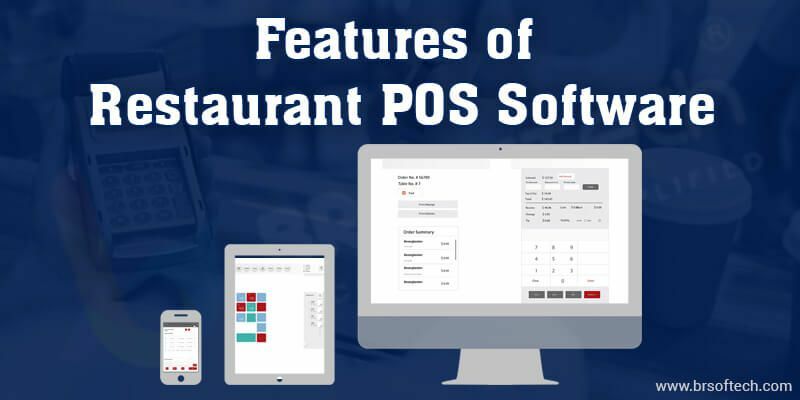 How Restaurant POS Software Works? 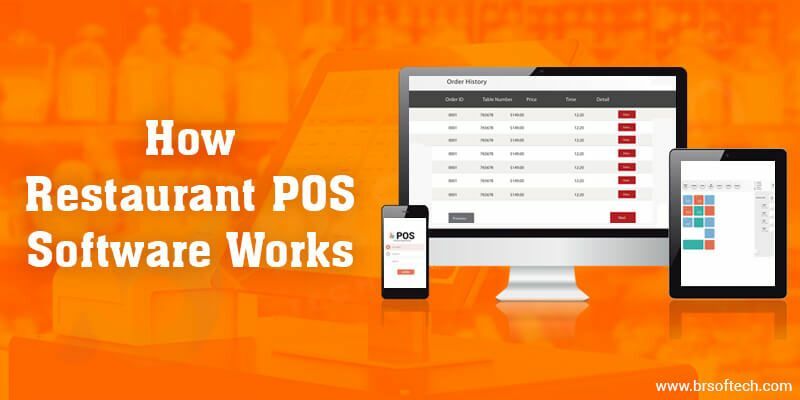 POS stands for Point of Sale. This point of sale software for restaurant empowers the restaurant industry and makes it easy to use. It allows restaurants to track their sales, food inventory, cash flow and simplify the overall accounting management. It reduces the work done by the registry system and helps in keeping accurate data. Main Server: – The main server is the backbone of a POS solution. Depending upon the application server can provide with multi-functionality. This restaurant solution is highly Configurable and cost-effective restaurant point of sale software. It’s secure and reliable. POS Terminal Station: – A point of sale terminal is an electronic device which helps in processing the payment at retail locations. Its reds the customer’s credit/debit card information and takes the payment automatically. Card Swiper Machine: – Its a terminal provided by banks to restaurants wherein merchants can swipe the card to receive payment. It’s one of the most secure and reliable payment methods to get money directly into the bank account. Cash Drawer: – Cash drawer allows storage of cash, coins and cheque with other valuable items. It’s also known as the point of sales system set up which can’t be opened without the printer signal. Receipt Drawer: – Receipt drawer helps in keeping all the invoices associated with payments in order. It helps in cashing up at the end of the day. Inventory Window: – Inventory window provides with the complete list of ingredients that needs to purchase for the restaurant or already in the stock. It automatically subtracts the items which were already available in the inventory. We provide with a secure and reliable software solution. It provides with a complete management solution to the business and helps them establish the reputation. It helps in maintaining food inventory with other crucial activities like ordering, billing, and internal management. We provide with comprehensive billing Point Of Sale System that automates the business and makes other management easy. Instead of billing with the computer we provide with the software that helps in accessing the tablet for taking and managing orders. Our automated software helps in-home delivery management and help the customer to get their food in time. Our top Restaurant POS Systems proactively helps in the arrangement made in advance by the customer regarding table reservation. Our Food Court POS software will help you manage your restaurant production, orders, bills, and wastage account. Make online ordering easy with our POS software. It allows the restaurants to serve the food on time and manage all the online orders. We provide with fast-paced code based billing option with our Point of Sale software. Get an insight into your daily cost, expenses, and sales with our software and manage your restaurant business efficiently. Table Management: – Effortlessly manage all your table operations with our extensive POS software. It will help you manage all your table reservation and another table related status like vacant, occupied. Fast Interface: – Restaurant POS system offers the speedy interface. For any business its the basic requirement which fulfills all the needs and offers reliable service. Easy to Manage: – Its user-friendly interface allows people to manage everything with ease. It clutters all the complexities of the restaurant business and provides with the computerized solution that can be managed by anyone good with the system. Accurate Billing: – Its one of the best Restaurant Billing Software. Accurate billing helps the organizations to maintain data wisely. Accurate data helps with billing and calculating revenue. Billing option of POS Software provides with multiple payment methods and gives with split-bill features. Inventory Control: – POS software for restaurant provides with built-in inventory control. It helps in managing all the inventory and gives you the option to keep everything in place. It helps you calculate the profit margin. Menu Management: – POS software gives the ability to restaurants to create multiple menus. With this software, one can change the rates and modify the name and everything with ease. Keep the Guests Informed: – Best Restaurant POS Software keeps your guests informed about the offers and promotions via SMS and email alert. Loyalty Card: – Convert your one-time visitor into a frequent customer by giving your visitors a gift card or the loyalty card. These offers attract the audience and grab their attention to the core. Chain-Wide Operation: – We provide with POS software which supports chain-wide operations. It can handle multiple restaurant’s inventories at one time by providing with accurate data. Get Detailed Report: – The restaurant POS software helps the restaurants to get a detailed report of their performance and operations. It presents interactive reports that can help the business to grow and get successful. The cost of the restaurant POS systems cost depends on the features and the functionality. POS software handles the complete restaurant solution, hence its quality standards are high. It’s designed by our highly skilled developers. From inventory management to menu and detailed reports it takes care of everything. POS Software cost mainly depends on the below-mentioned consideration. Advancement of technology has significantly made this POS Software cost-effective. Experience the upward trend of restaurants POS Software at a rapid pace with each passing day. With the team of experts, we develop customized POS Software to help you manage your operations effectively. To get the exact cost one must understand the POS multi-functionality. The cost involves hardware cost, software cost, payment processing fee with transaction fees, Fixed fees, and Incidental Fees. 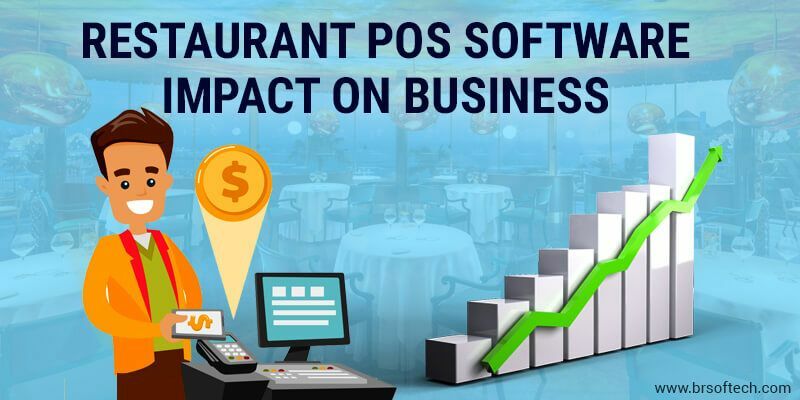 The total restaurant POS software cost with the single restaurant will cost somewhere around $1000 to $1500 with $1000 software subscription fee. ipad POS system cost again define by its features and functionalitites. These charges may vary depending on the features and module. There are various fees that might impact the overall cost of POS software. Once the restaurant invests in POS software there are any other additional charges like service and support charges which occur timely. POS software features and functionality combine cost need to be factored into a POS investment. The restaurant POS systems cost depends on its maintenance, most restaurants spend thousands of dollars in POS maintenance. Some people go for the extended warranty which reduces the total cost. 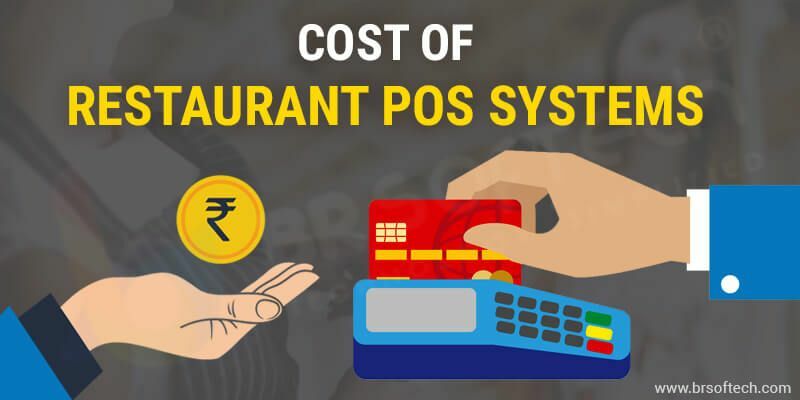 For initial years, it’s a predictable cost, hence, restaurants can focus on running the restaurant rather than concentrating on the POS system. This smarter software helps in decreasing the overall cost and provides with cost-effective solutions. It provides with the multi-mode solutions and makes the complete process effortless. This fully integrated point of sale software provides with flexible, powerful, and easy services. It makes wireless device ordering easy and provides with easy ordering capabilities. POS software can handle can a lot more than just managing front end sales of the business. With the changing time, it has become the necessity for the restaurants. It’s an integrated point of sale system that lets you manage everything from one platform. With POS software one no longer has to manually update the general ledger. It’s an automated system which takes care of Payments, Bills, and checks while saving the time and reduces the error possibility. It helps the business to come over with the most challenging part while having greater control over inventory management. Point of sale synchronized with inventory control is provided with a clear understanding of product requirement to the restaurants and helps in establishing the customers buying trends. 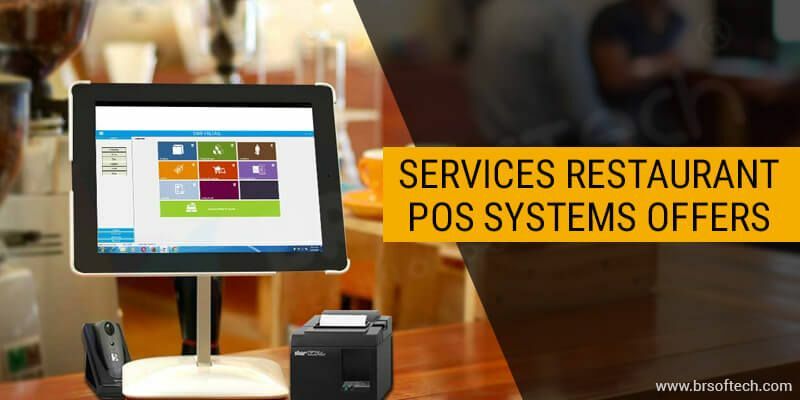 POS software helps you gain the control of your business and takes care of profit margins to accounting and inventory. It increases the staff efficiency and provides with instant access to information they require. Why Choose BR Softech for Restaurant POS Software? BR Softech provides with top restaurant pos software in India and abroad. Best Software Development Team: – Get a variety of Softwares with our team of experts and experience the top-notch quality with a highly polished interface. We use the latest technologies to help you serve with the best solution. 24×7 Technical Support: – Get your problems instant solution with our 24×7 technical support. Expert Software Developers: – We have a team of expert software developers holding years of rich experience. Their hard work brings video games to life. Smart Solutions: – We strive to provide with smart service solution at the time of cutting edge technology. Our cost-effective solutions help in saving time and efforts. Seamless Communication: – We promote seamless communication to give users with greater experience and aim to provide with more personalized services. Flexible and Customized Solutions: – We collaborate with our clients, from time to time to help them achieve their desired result. Our flexible solutions are designed to suit all your specific needs with utmost flexibility. POS software simplifies the communication between the kitchen and other restaurant staff. This computerized system helps the restaurants to manage orders and table reservation in the most controlled manner. It helps in preparing payroll and maximize your business efficiency. It focuses on customer satisfaction and provides with an innovative platform to both business and customers. It helps in saving a lot of money while running daily operations. It reduces the cost of bookkeeping department and helps you get the profit and loss report in no time. The key benefit of opting for our POS software is, it cut down the employee theft and makes it impossible to alter the transitions.